Circular reasoning is a logical fallacy in which the proposition is supported by the premises, which is supported by the proposition, creating a circle in reasoning where no useful information is being shared. Flat-Earthers often commit the fallacy of circular reasoning to defend the notion that the Earth is flat. Such reasoning is never useful, and cannot be regarded as evidence of anything, despite what they are claiming. 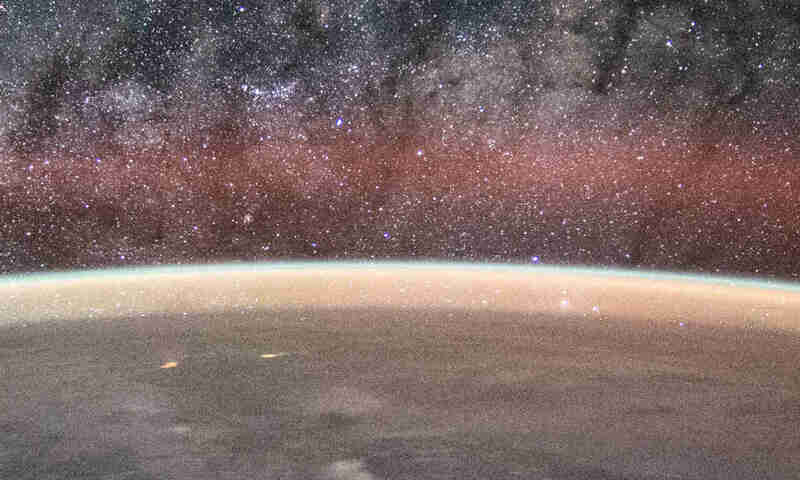 They would claim that all photos of the Earth taken from space are fake and the results of image manipulations, due to the fact it would be impossible to take such pictures if the Earth is flat. But then, on other occasions, they would reverse their logic and say that “there’s no real photo of the Earth taken from space” as ‘evidence’ of a flat Earth. They say “the Earth is flat” because “we cannot see Earth’s curvature.” But then they would assert that “we cannot see Earth’s curvature” because “the Earth is flat.” If for some reason we can observe Earth’s curvature, flat-Earthers would invent various convoluted ‘explanations’ to explain the ‘discrepancy’ away, and thus preserve the circular reasoning. Circular reasoning can also involve more than two premises. Example: Earth is flat – because nobody has ever crossed Antarctica – because Antarctica is guarded by special forces – because they want to cover up the real shape of the Earth – because Earth is flat. 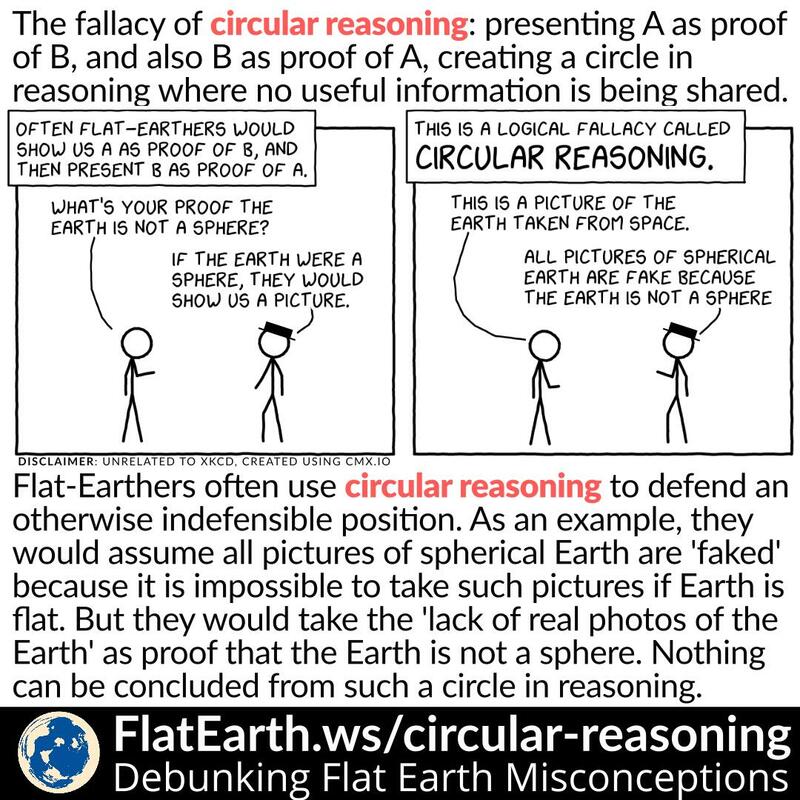 Flat-Earthers use circular reasoning to prevent their theory from being falsified. But nothing can be concluded from such a circle in the arguments.